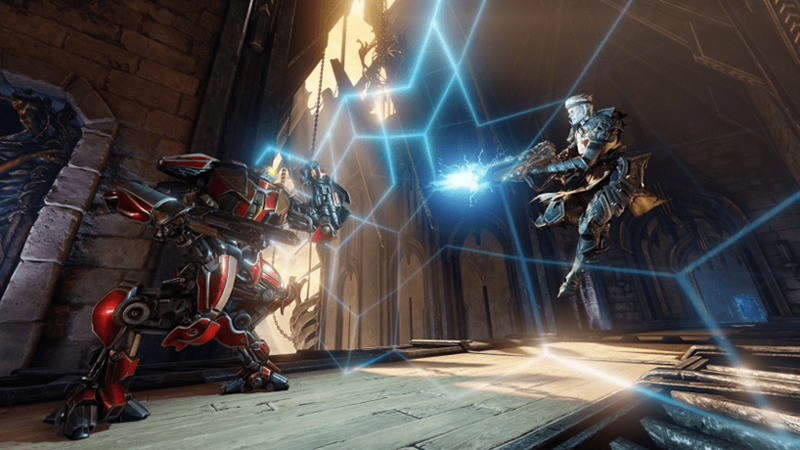 Quake Champions might not be the exact return of Quake you expected when the game was first revealed last year, but Bethesda has been working hard to retain the feel of the twitch shooter while also bringing it up to speed with modern hero shooter trends. The game has been in beta for some time now, and there isn’t a firm release date just yet for the free-to-play shooter either. But if you haven’t scored beta access you’re in luck. Quake Champions is going into Early Access next week – but you’ll have to pay for it. Much like Fortnite (another game charging for early access despite being free-to-play at launch), Quake Champions is going to run you a $30 fee when it launches on both Steam and Bethesda’s own game client on August 22nd. The idea is to start gathering a lot more feedback on the game from dedicated fans, who will also score a bunch of goodies in-game for throwing down an early fee. You’ll get access to all current and future characters in the game from the get go, an exclusive Early Access skin and three loot crates. After launch, this exact package will cost $10 more, so it’s a neat idea if you already feel invested in this new shooter. Quake Champions itself feels a lot like classic Quake, but introduces the same sorts of Hero specific powers that have made games such as Overwatch so popular. Although, they’re a little less pronounced. Playing the game in beta a few months ago, I found that raw shooting and movement still played the biggest parts in success, with the additional powers only adding a slight new layer to the existing meta. It’s still incredibly fast, which is exactly what you want from a game with Quake in the name. Bethesda has yet to announce a firm release date for the game, which will launch with a handful of characters to choose from and regular rotations. But if you know you want everything right now, this is a pretty good deal. Previous article Friday Debate: Does the Xbox One have a First-Party problem?